Hire for passion and commitment first, experience second, and credentials third. You don’t want to be simply a stepping stone on an employee’s journey toward their own passion. Thomson understood value. Neighbors reported seeing him leave his local grocery store with jumbo packages of tissues that were on sale. He bought off-the-rack suits and had his old shoes resoled. Yet he had no difficulty paying almost $76 million for a painting (for Peter Paul Rubens’s Massacre of the Innocents, in 2002). He sought value, whether it was in business, art, or groceries. In 1976, Thomson inherited a $500-million business empire that was built on newspapers, publishing, travel agencies, and oil. By the time he died, in 2006, his empire had grown to $25 billion. He left both a financial legacy and an art legacy, but his most lasting legacy might be the culture he created. Geoffrey Beattie, who worked closely with him, said that Ken wasn’t a business genius. His success came from being a principled investor and from surrounding himself with good people and staying loyal to them. In return he earned their loyalty. For the long-term viability of any enterprise, Thomson understood that you needed a viable corporate culture. It, too, had to be long-term. So he cultivated good people and kept them. Thomson worked with honest and competent business managers and gave them his long-term commitment and support. From these modest principles, an empire grew. Once you have the right people, you need to sit down regularly with them and discuss what is going well and what isn’t. It’s critical to take note of your victories, but it’s just as important to analyze your losses. A fertile culture is one that recognizes when things don’t work and adjusts to rectify the problem. As well, people need to feel safe and trusted, to understand that they can speak freely without fear of repercussion. The art of communication tends to put the stress on talking, but listening is equally important. Great cultures grow around people who listen, not just to each other or to their clients and stakeholders. It’s also important to listen to what’s happening outside your walls. What is the market saying? What is the zeitgeist? What developments, trends, and calamities are going on? A culture of passion capital can be compromised by the wrong people. One of the most destructive corporate weeds is the whiner. Whiners aren’t necessarily public with their complaints. They don’t stand up in meetings and articulate everything they think is wrong with the company. Instead, they move through the organization, speaking privately, sowing doubt, strangling passion. Sometimes this is simply the nature of the beast: they whined at their last job and will whine at the next. Sometimes these people simply aren’t a good fit. Your passion isn’t theirs. Constructive criticism is healthy, but relentless complaining is toxic. Identify these people and replace them. 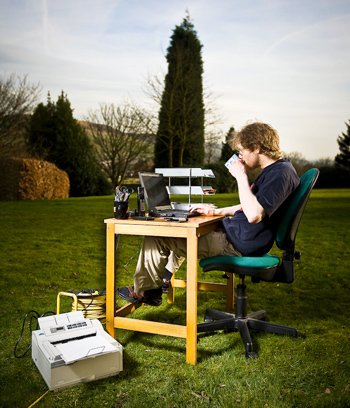 To obtain passion capital requires a work ethic. It’s easy to do what you love. In the global economy we can measure who has a superior work ethic, who is leading in productivity. Not many industries these days thrive on a forty-hour work week. A culture where everyone understands that long hours are sometimes required will work if this sacrifice is recognized and rewarded. “Make no little plans: they have no magic to stir men’s blood.” These words were uttered by Daniel Burnham, the Chicago architect whose vision recreated the city after the great fire of 1871. The result of his ambition is an extraordinary American city that still has the magic to stir men’s blood. Ambition is sometimes seen as a negative these days, but without it we would stagnate. You need a culture that supports big steps and powerful beliefs. You can see these qualities in cities that have transformed themselves. Cities are the most visible examples of successful and failed cultures. Bilbao and Barcelona did so and became the envy of the world and prime tourist destinations. Pittsburgh reinvented itself when the steel industry withered. But Detroit wasn’t able to do the same when the auto industry took a dive. When choosing students for a program, most universities consider more than just marks. If you had a dozen straight-A students who were from the same socio-economic background and the same geographical area, you might not get much in the way of interesting debate or interaction. Great cultures are built on a diversity of background, experience, and interests. These differences generate energy, which is critical to any enterprise. If your culture is dependent on this quarter’s earnings or this month’s sales targets, then it is handicapped by short-term thinking. Passion capitalists take the long view. We tend to overestimate what we can do in a year, but underestimate what we can do in five years. The culture needs to look ahead, not just in months but in years and even decades. The writer Arthur Koestler said that a writer’s ambition should be to trade a hundred contemporary readers for ten readers in ten years’ time and for one reader in a hundred years’ time. Lasting influence is better than a burst of fame. Keep an eye on the long view. 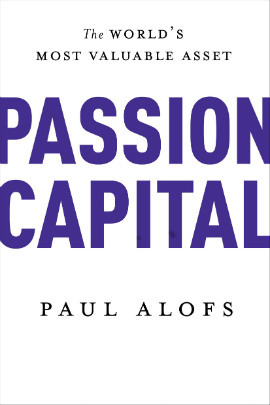 Excerpted from Passion Capital: The World’s Most Valuable Asset © 2012 by Paul Alofs. Published by Signal, a division of Random House of Canada Limited. Reproduced by arrangement with the Publisher. All rights reserved. Author of PASSION CAPITAL and President and CEO of The Princess Margaret Hospital Foundation Toronto, Ontario, Canada.